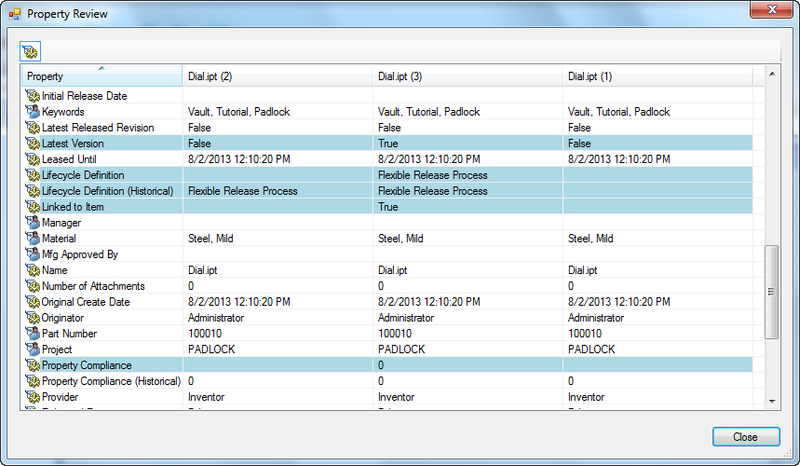 A while back, I showed you how to write a custom column for your VDF grid. But what about a custom row? Can it be done? If the answer was No, this would be a pretty short blog article, so the answer is Yes! Just like with custom columns, this data is client-side only. It’s not saved to the server or shared with other Vault clients. Let’s just dive right in to code again. For this example, I’ll put a custom row in the grid followed by a standard File row. If you already know how to populate the VDF grid with Entity objects, you are more than halfway there. The only new steps are creating the EntityClass and Entity class. Those are two different things, by the way. EntityClass is the type of entity. 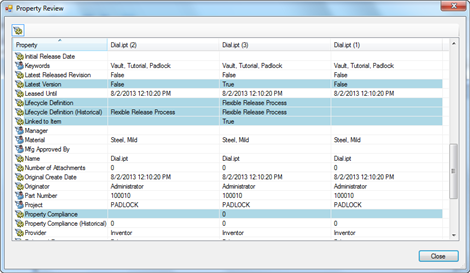 For example, File, Folder, Item, Change Order or Custom Object. For this example, let’s create our own EntityClass. You can easily do this by calling AddInternalEntityClass. You pass in a unique ID and display name, and you will get back an EntityClass of you very own. Although this is a custom entity class, it’s not a Custom Object. Custom Objects are stored on the server. // create our entity class. Now let’s create our Entity class, which we do by deriving from IEntity. I’m just going to create something simple for demonstration purposes. Now we are free to create any number of MyEntity objects and place them in our grid, just like any other IEntity. Most of this code just involves setting up the grid. Only a couple of lines are related to our custom entity. // create our entity objects. // Let’s grab a file too. // Set the Name property as the grid’s only column. // All entities have a Name property. PLM 360 was updated last weekend. The Read Me First page has a listing of new REST API pages, but I’d like to also point some things out. New Feature - Better error information when adding or updating an item. Now if the operation fails because of bad field data, you will get back information on which field(s) caused the failure. It’s a big time saver when, for example, you are updating an item with 100 fields on it. See FieldValidationError for more information. New Feature - Item and System change logs. You can now read the change logs through the API. The Item change log shows you all recent item changes. The System Configuration change log shows changes to workspaces and other system level objects. Both APIs require admin-level access. Enhancement - Max page size increased to 5000 when getting items. Only applies to the get Items endpoint. 100 is still the max page size for other endpoints. Bugfix - filtered picklist values - When getting or setting filtered picklist values, the PicklistValue object should have a displayName field but not an id or url field. This is because a filtered picklist is just a filter value, not a pointer to a specific item. However, Item Detail is an exception. In those cases, PicklistValue should have all 3 values set. API Change - Integer to Long - Most integer values have been changed to long. For example, Item.Id. If your app is currently using integers, you should be OK as long as you don’t have over 2 billion objects in your tenant. Jan Liska has given me a new app to post. It’s called Property Review and it lets you compare properties across multiple file versions. Jan also wrote Drawing Compare, so I’m starting to see a pattern here. Let’s say you have a service that synchronizes data to PLM 360 in the background. It’s a headless system, so there is no UI. The problem is that PLM uses 3-legged OAuth 1.0, and “human” is one of the 3 legs. There are lots of blockers to prevent a non-human from authenticating. For example, there is no API to pass in the username and password. The solution is to log in once as a human and save off the OAuth access token. From an OAuth point of view, the access token is just as good as being logged in to the system. 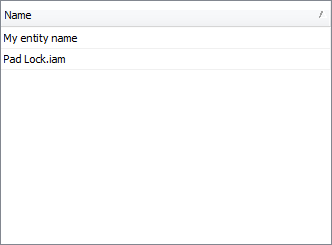 This means that a background service can use that access token instead of needing to store username/password data. Access tokens from Autodesk have an active lifetime of 2 days, but they can be renewed up to 14 days after they have been issued. When an access token is renewed, a new token issued and the old one is obsolete. This process can be continued indefinitely. The only time a human would have to get involved is if the 14 day period expires before a token can get renewed. In these cases, a human would again need to log in manually and store off the access token. Let’s go over a specific example in PLM 360. In step 5 of the authentication process, the human user has already logged in and your app gets the access token. If you want to do an auto-login in the future, you should store off some of the data coming back from the OAuth provider. oauth_token - The Access Token public key. oauth_token_secret - The Access Token secret key. oauth_session_handle - The session handle. Needed to renew or force expire an access token. oauth_expires_in - How long, in seconds, the access token will continue allowing access. oauth_authorization_expires_in - How long, in seconds, the access token will allow a renewal. You should store off the oauth_token, oauth_secret, oauth_session_handle, oauth_authorization_expires_in and oauth_expires_in. You should also record the timestamp of when the token was issued. The timestamp allows the application to calculate if a token is still active, needs renewing or is past the renewal point. NOTE: Make sure to store off the Access Token in a secure manner. A compromised token is not as bad as a compromised username/password, but an attacker can still do a lot of damage with just the Access Token. Now your app has a way to log in to PLM without user intervention. It can just read in the saved OAuth data and continue to the next step in the authentication process. The part that involved a human has already passed, so things can be automated from here on out. When you want to renew your token, you will again call POST on https://accounts.autodesk.com/OAuth/AccessToken, but the input parameters are a bit different then when you first get the token. The oauth_token should be the current access token and the oauth_session_handle should be passed in too. No verifier is needed. The request should be signed by your Consumer Secret and Access Secret. The response looks the same as when the token was first issued, but there are now new values for the Access Token, Access Secret and Session Handle. The old values are now invalid and cannot be used to access PLM 360.
https://accounts.autodesk.com/OAuth/InvalidateToken. As usual, this must be a signed request (use your Consumer Secret and Access Secret), with a bunch of oauth parameters passed in. It also requires that you pass in the session handle from the last /OAuth/AccessToken call. If the call is successful, the Access Token, Access Secret and Session Handle are invalid and cannot be renewed.